Inspirational tips and on-trend plants to make the most of your small garden. 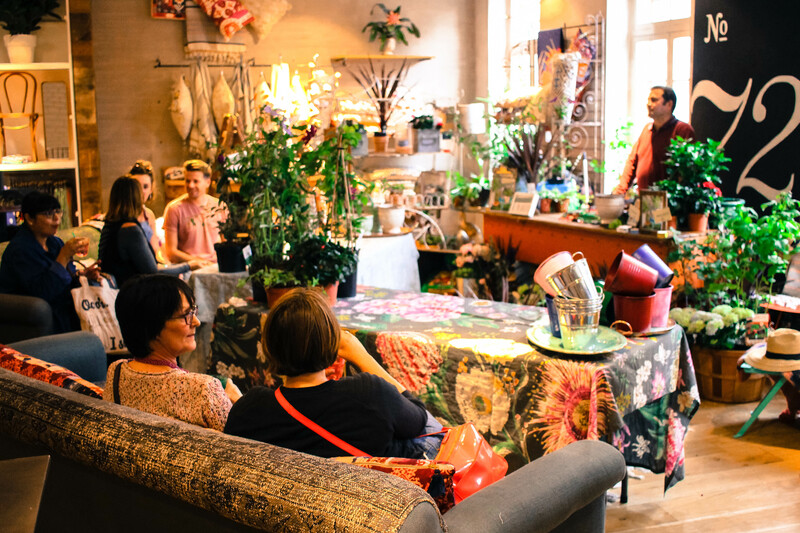 Leafy Richmond’s stylish Anthropologie store provided the perfect setting to our ‘small spaces gardening masterclass’, hosted by TV garden extraordinaire Chris Collins and attended by an enthusiastic and soon-to-be green fingered audience. 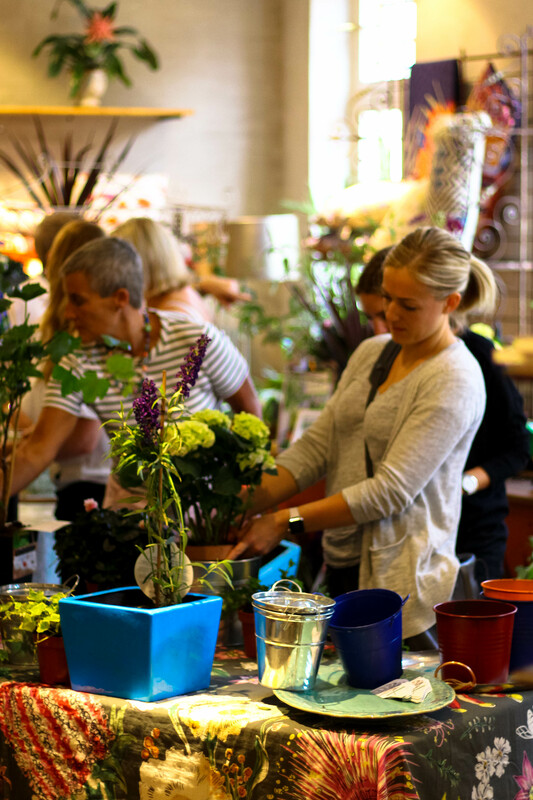 The highly popular plant workshop’s mission was to show just how easy (and fun!) it is to transform any small outdoor space, terrace or balcony with a just little plant knowledge and imagination. 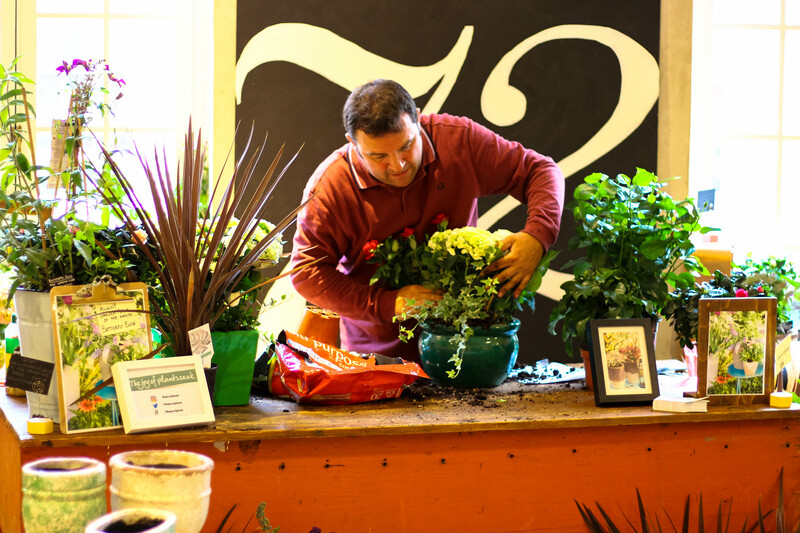 Chris shared his top insider tips on how to make even the smallest spaces feel lush and vibrant and even encouraged the audience to roll-up their sleeves and get planting! Chris revealed the most fashionable plants to showcase in your garden right now including this year's terrace plant of the year, the Hibiscus, and August's Garden Plant of the Month; the Butterfly Bush. The talk was followed by some hands-on fun, with each guest arranging a selection of terrace-friendly plants to best suit their own outdoor spaces. He said, "Everyone should remember the 15 minute rule. Spend 15 minutes with your plants every day, whether in the morning or evening. Use this time to bond with your plants. Check if the soil is moist with your finger and water if needed. Spending the first 15 minutes of your day with your plants helps you to start your day in a calm way." He added, "Plants are good for the mind and soul. The best thing about container planting is that it's the best way to soften the world around us. A daily connection with nature is important for everyone's wellbeing." A familiar face to fans of TV gardening shows on both the BBC and Style TV, Chris boasts an impressive and diverse garden design portfolio which ranges from Westminster Abbey to Tokyo’s trendiest department stores. Think of your patio or terrace as a 3D cube rather than a flat floor surface – this will help you to use all available space. Use hanging baskets, wall planters and shelving to display your plants at different height levels. 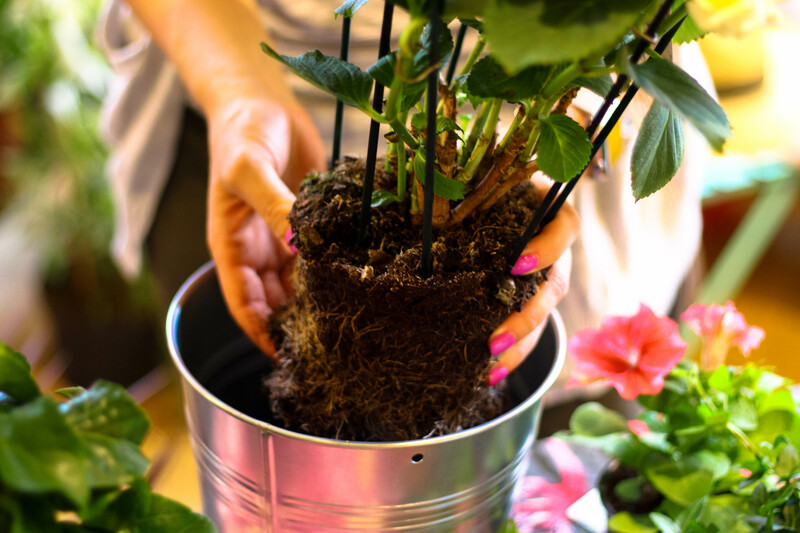 When buying plants, inspect the roots by pulling the plant out of it's pot. Choose a plant where the roots are not very visible and curling all around the soil. When repotting them at home, use your fingers to tease the soil and loosen the roots so they have more space between them to grow. Good quality soil is the secret to gardening success. Check your soil is suitable for specific plants. Slightly more expensive soil like this will contain more nutrients. Adding a handful of fertilizer when planting and regular plant food will also help plants remain as healthy and strong as possible. Choosing beautiful pots will add extra colour to your small garden when plants are not flowering. Select clay or terracotta pots which are breathable for healthier roots. Practise good plant hygiene. D, D & D is the rule of thumb: remove anything 'dead, diseased or dying.' This will prevent any diseases spreading. Dead leaves can also attract mould and bacteria which could further damagae an otherwise healthy palnt. For quirky pots we spotted at Anthropologie yesterday, head to their store or visit their website. Do you have a small outdoor space that you're proud of? Share your pictures with us on Facebook and Twitter!